And it came to pass in those days that there went out a decree from President Trump that all the world should be taxed to compensate for huge tax breaks for billionaires. And this taxing was first made when Kasich was governor of Ohio. And all went to be taxed, every one to his own city. And Joseph also went up from Morrow County, out of the village of Cardington, into Delaware County, unto the city of Delaware, because he was of the house and lineage of Moses Byxbe. To be taxed with Mary his espoused wife, being great with child and having lost her food stamps due to deep cuts in the new farm bill by Agriculture Secretary Sonny Perdue. And so it was, that, while they were in Delaware, the days were accomplished that she should be delivered. Her husband Joseph had brought cash for a hotel, but he did not know about the county fair bed tax levied on those from out of town. Lacking sufficient funds, he was greatly perplexed, but he was told by a man at the bus stop to try the Family Promise house. And so they traveled to Washington Street where they were met at the door by a church volunteer, who sadly told them that all the rooms were full. But lo, their conversation was overheard by a child, who offered her bed to the weary couple. “I will sleep on the floor,” she said with a shy smile. And when half-spent was the night, Mary brought forth her firstborn son, and wrapped him in swaddling clothes, and laid him in the little girl’s suitcase, because there was no Pack-n-Play. And there were in the same country truck drivers, unloading their cargo by night at the 24-hour convenience store. And they came with haste, and found Mary, and Joseph, and the babe lying in a suitcase. And when they had seen it, they made known on their radios the saying which was told them concerning this child, while also warning others about the Can Opener on West Central Avenue. And all the drivers that starlit night wondered at those things which were told them. But Mary kept all these things, and pondered them in her heart, as she wrote a note of thanks to those who faithfully volunteer or give money to help homeless families at Family Promise. And the truck drivers returned to their routes, glorifying and praising God for all the things that they had heard and seen, as it was told unto them. Rev. 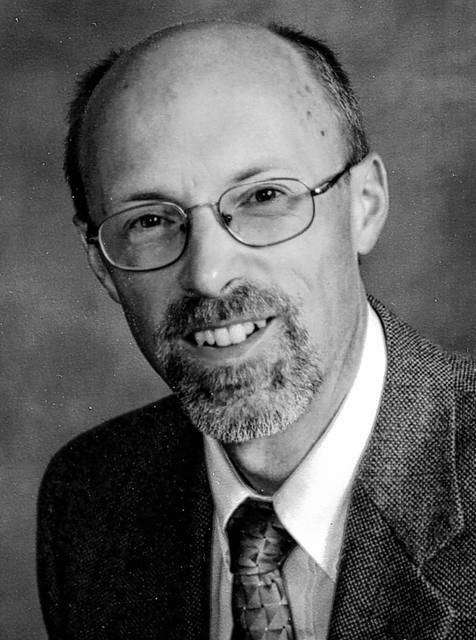 Philip Wilden is the pastor of Asbury United Methodist Church, located at 55 W. Lincoln Avenue in Delaware.